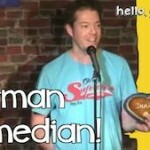 German Comedian, English Audience | ui. der blog. 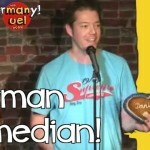 So, here’s all three parts of me, Manuel Wolff, a german comedian, having my first gig in english. Which part do you like best? Share the part you like best on Facebook! Please note: This was my first gig in english, but not my last. 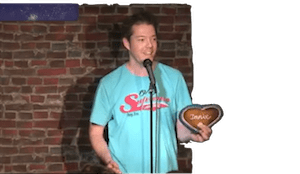 After this performance, I started to stand up comedy in english more often and I love to travel and can be booked. Simply drop me an e-mail at mail@manuelwolff.de to contact me. You can find more and later performances on my Youtube channel „hello, germany!“. Cool, all three parts on one side. Thank you!